BeenThere-DoneThat: Historic buildings, Colchester, Essex. The Hole in the Wall and the Roman Balkerne Gate. 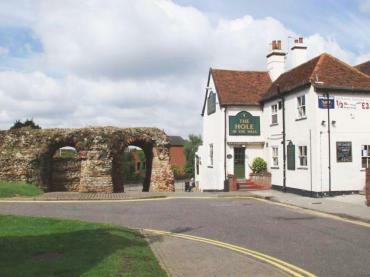 This pub has had a number of different names throughout its history and was known as the Kings Head after the siege of Colchester by the Roundheads in 1648. The building was extended in 1843 and a hole was made in the Roman wall to accommodate this. After this the pub had the nickname of 'The Hole in the Wall' until it was eventually officially renamed with the current name. 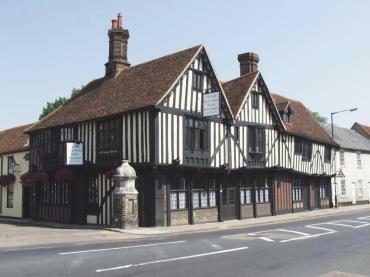 A 15th century half timbered house which is now a clock museum housing a fine collection of clocks made in Colchester between 1500 and 1840. Entrance is free but the museum is not open all year so you should check opening times before visiting. This Benedictine abbey was founded in 1096 and finally destroyed, except for this 15th Century gatehouse, during the reformation in about 1539. The impact of cannonballs can be seen in the vaulted roof from when it was badly damaged in 1648 during the Siege of Colchester. 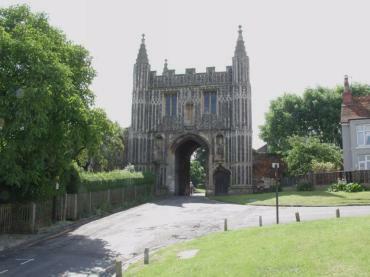 This building, which dates from the 15th century, still bears the scars of the Siege of Colchester which lasted for 76 days in 1648 during the civil war. 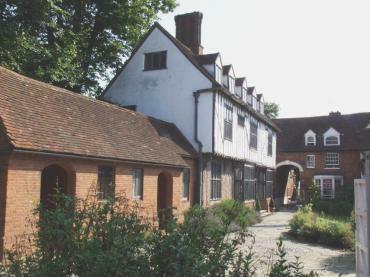 It actually comprises three originally separate buildings which have since been merged into one. Holes from the musket balls can still be seen in the timbers ( I kid you not!). At present it is an Italian restaurant.